Fresh Ground Flax Seed for Dieting? Want to gain the very most health from a diet plan? It's simple! Use fresh ground flax seed. You can be decisive about whether using flax seed in a healthy diet to help you lose weight is viable or if it sounds like a scam or a hyped commercial for a product that cannot possibly keep the promises being made about it. While there isn’t a single weight loss suggestion that is the answer for healthy dieting, I’ve found that using ground flax seed daily has proven to be very helpful. It really does help us jumpstart our diets when it's time to drop some extra pounds, as well as help us maintain a plan that works when we use it regularly. For those who do not want to know more but just want to do it, my recipe is three tablespoons of freshly ground golden flax seed mixed into a cup of grape juice or apple sauce once a day. One tip you want to know right away is that you should take an extra minute to grind the batches thoroughly because your body is not designed to break down flax seed's outer hull. If you tend to have any stomach upset when eating high fiber foods, begin small. It may be that starting with one tablespoon of fresh ground flax seed per day and working up to three tablespoons per day would be easier on some people’s systems. Dividing the intake throughout the day could also be helpful to some people. While I like the antioxidants in the grape juice and I have no problem drinking it down for a quick snack so I can get on to other things, not everyone wants to do that each day. My friend makes a meal out of hers but putting it in a blueberry smoothie everyday as her breakfast. My aunt eats hers mid-day with a smashed banana because she doesn’t like to drink anything but clear liquids. The point being, it is possible for everyone to incorporate healthy flax seed into their life. Using Flaxseed to Lose Weight is a Good Thing! Replacing a meal with fresh ground flaxseed is as easy as it is smart. You can mix it with a high quality fruit-filled yogurt for a very quick and healthy meal. Stirring it into applesauce with dried fruits and nuts makes for some variety if you are using flax to replace a meal each day. Mixing it with low-fat cottage cheese and fresh or frozen fruit also make a great easy meal. Sprinkling it into a green or a fruit salad adds both flavor and nutrition, but I personally would not like to use more than one tablespoon on a salad. Using ground flaxseed as a healthy snack is a great way to work through a diet plan that requires eating something small every few hours. Simply grinding it and stirring it into a cup of juice as I do provides energy for that mid-day slump as well as the right nutrients for the body’s diet mode. Flax seed can be used in many ways and its benefits are well worth chasing a few shiny strays around the kitchen. Any type of cooking may break down the nutritional benefits so I almost always use it raw, however, recent research indicates that cooking with flax seed still offers tremendous benefit. 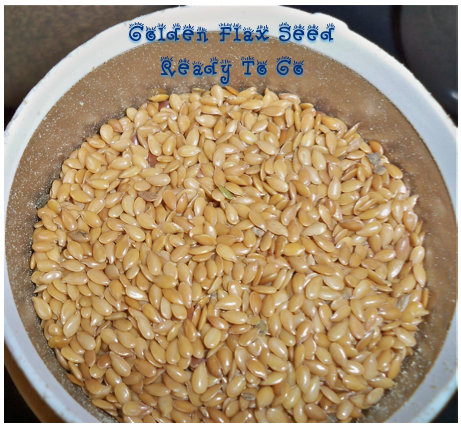 Most people prefer the lighter flavor of the golden flax seed to the brown’s stronger taste. Among the many benefits of consuming fresh ground flax seed is that the fiber, so filled with nutrients, stimulates a sluggish system that is carrying extra weight. Also some dieters experience inflammation from increased exercise. 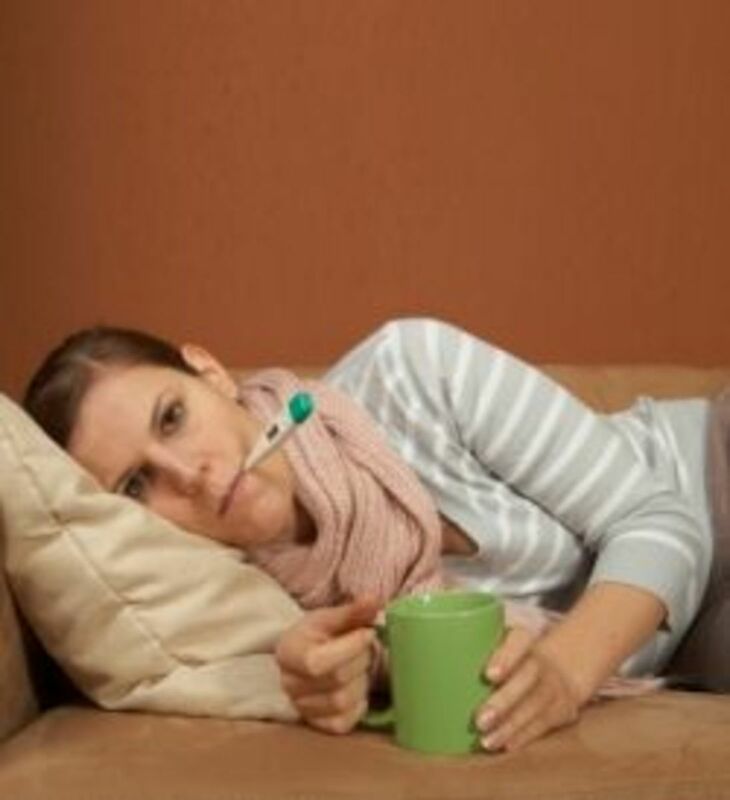 Flax seed's inflammation fighting properties have made me a permanent fan. On an immediate basis, adding flax seed to the diet enhances efforts to drop some pounds quickly. Better yet, balanced diet that includes ground flax seed along with an exercise program will yield very satisfying results over a life time. Deciding your strategy for weight loss and incorporating fresh ground flax seed into your recipes are great first steps to getting where you want to be in the fastest way possible. Any changes to your diet for the purpose of losing weight should be discussed with your doctor. Getting the advice of a physician who has reviewed your health is your safest start to a new diet. Do you use ground flax seed as part of your diet? • Grind it to a fine powder and consume it while still fresh, immediately if possible, before the nutrients oxidize so you can get the most benefit from your effort. • Once flax seed is ground it should not be kept at room temperature. Eating it right after grinding it solves this problem, but don’t forget, it can become rancid even in the refrigerator. Storing the whole seed at room temperature is fine. It was designed for long-term storage in its own shell. • Always be sure to drink an extra glass of water after eating or drinking your ground flax seed so that the fiber can work without stressing your body. Besides, we all need to drink extra water when dieting. • Pistachios are another great diet food with lots of fiber! • Flax seed has more than one use--it can also provide comfort for pain and be an egg substitute. • Ground flaxseed is used in a variety of recipes. An easy way to help add the recommended 2-3 tablespoons of flax seed to your family's daily diet. Can You Make Flax Bread? Mill your own flax seed for the healthiest use of this wonder seed, as well as for huge savings. Flax Seed Lowers Cholesterol: Amaze Your Doctor! Flax Seed Eggs? What's That? You remind me that everyone's taste is not the same. :) Though I wouldn't mind the look, the dark is too strong for my taste. Either way on that, you are absolutely right, the flax seed is missed when not used. We find it to be a better workhorse for us than chia or hemp. Thanks much for adding your experience to this post! So appreciate that you let me know this was useful to you, and thanks for adding info about the diet. I'll be looking that up. We've been working on a new way of eating and I want to see if how that diet compares to what's working for us. Thanks for the information about flax seed and dieting. I'm doing week 5 of the Shed diet and it has us using 2 tb each morning with lemon juice. I was following the program but didn't really know what flaxseed did to help. Great information! The combination of being so good for us nutritionally and being a help when dieting makes flax seed a top 10 food. :) Thanks for coming by and letting me know you found this info interesting! I've heard that flax seeds have so many healthful benefits, but never that they could help a person lose weight! Very interesting and helpful hub. Thanks very much for letting me know that this was helpful information to you! The more you read about flax seed's benefits the more amazed you will be. So appreciate your feedback here. Thanks much for stopping by and leaving your input! Great Hub. I add flax seed to my oatmeal and I've even added it to rice dishes and soups. Using ground flax seed on a regular basis is a very healthy habit--good for you! So appreciate your input on this hub as it helps highlight the topic of healthy eating. Good to know. I'll have to try it. : ) Found it interesting as well as useful. Thanks for the share. I'll try to check back on your colon cancer hub again then! Thanks for letting me know. It's important to share helpful information! Thanks for getting back with me/us on that! Yes, that family history with colon cancer would definitely make me a flax seed junkie if I weren't already. 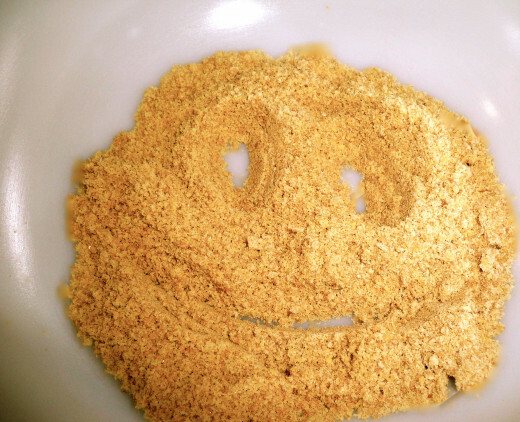 Have you written hubs on how fresh ground flax seed may help prevent colon cancer? Thanks kindly, both for your visit and comments! How much do you use 3x per day? 1 tablespoon with each meal? It is important to handle ground flax correctly to keep it from spoiling. Your method is a great one. Thanks for sharing it here. Thank you--I'm glad you found this flax seed information helpful. You are right, ground and included in baked goods is a real plus for flavor and health! Excellent hub about my daily seed! I grind it twice a week and store the grinds in the freezer to use as needed which is 3x per day. You are correct the grinds will go rancid if not handled and stored properly. Great hub! Flax seed is great - we buy it already ground into a meal (Bob's Red Mill) and use it instead of plain old flour all the time. Great in muffins, pancakes, basically anything baked! Thanks much--so glad you found this helpful. I appreciate your visit and input! Great hub! I love flaxseed and incorporate into meals often. And I never knew there was such thing as a flaxseed grinder. That's perfect for me. Thanks and thumbs up! Thanks kindly for letting me know this was helpful to you. When I began writing about flax I had no idea that several hubs would come out of it, but flax is an amazing food, and important, too. So glad to hear that something I've written has encouraged you to write, and I'm glad this particular hub was helpful to you. Wow, how kind of you to include my work in your tribute! Thank you! RTalloni - you have encouraged me to be active on hubpages. I really found this hub to be very useful for healthy dieting. I chose this hub in my Tribute to 100 followers - top 10 hubs. Thank you! Glad you found this to be a helpful reminder. So appreciate your visit and that you let me hear from you! This is a very valuable hub of great info on flaxseed. I thank you for reminding me how healthy & helpful this particular natural supplement is. Always looking for the helpful things to add to my diet! Thanks kindly, both for coming by and for letting me know you saw my hub. Although I do add some flax to a few recipes, I've not posted much on cooking with flax because we use it raw immediately after grinding it so we can obtain the most benefit from it. Cooking diminishes its nutrition values, however, cooking with flax still gives the benefit of its fiber. When I cook with it we enjoy the added nutty flavor so I do add a tablespoon or two to some recipes. You might like to take a look at my Banana Walnut Bread with Garbanzo Flour hub. As well, keep in mind that it's easy to add a tablespoon of finely ground flax seed to most any muffin or bread recipe. Great informative post on flax seed. Do you have any cooking recipe with flax seed as ingredient and effectively for weight management purpose that you can share with all here? 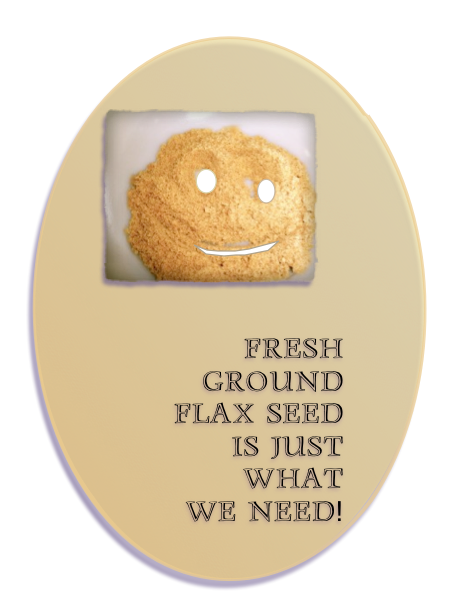 Flax seed is an amazing gift to us! Thanks kindly for stopping in! The benefits of flax seed make it well worth developing the simple habit of incorporating it into our daily diets. Thanks so much for dropping in with your comment! Thanks for this great information. I think I will give ground flax seed a try. Many people start using flax seed with the intention of using it regularly but don't keep it up because of the effects of extra fiber, however, if a person begins slowly and sticks with it until their body has adjusted then they do their bodies a big favor. Thanks so much for stopping by to join this dialogue! I've heard flax seed is very good, but haven't really incorporated it into my routine. I really that blueberry smoothie idea, though. I think maybe I will try that out! Thank you! Extremely informative and useful hub. You might enjoy reading my "Flax Seed Helps Lower Cholesteral" hub. When using ground flax seed it is wise to read up on how to use/store it. Thanks kindly for visiting and sharing your input! Flax seeds are also really great for lowering the cholesterol levels. I had no idea that ground seeds become rancid even in the fridge, though. Very informative hub! Appreciate your stopping by and joining this dialogue. Joint pain relief alone would be enough to make us fans of ground flax seed, wouldn't it? Thanks much for you visit and comment. Fantastic. I am a big fan of flax seeds and flax seed oil. I've found it really helps my joints (I needed a shoulder replacement a few years ago). I just read the label on the crackers again and what I thought was flax was poppy seeds and black sesame. So I guess I can keep eating them. I didn't realize whole flaxseed could give you gallstones. My favorite cracker that I like to spread hummus on contains flaxseed, and I don't think it's ground. How sad, since I eat this almost every day. Great hub. Voted up and useful. Thank you. Appreciate that you came by and left your comment. Informative and useful hub. I eat flax-seed and understand its nutritional benefits. Thanks for the added information I've learned through your hub. Thank you so much for sharing your experience with us. It is always helpful to hear from first hand experience!!! I've never known anyone who had the experience, but that is the reason I grind mine fresh for use. It's easy with a dedicated coffee grinder on hand. Appreciate your stopping by, as well as your comments. Great hub! I had learned about the rancid issue the hard way. I used the ground flax in a baked product and then it was rancid and bitter that it ruined the whole thing. Now I always taste the ground flax before adding it to stuff just in case. 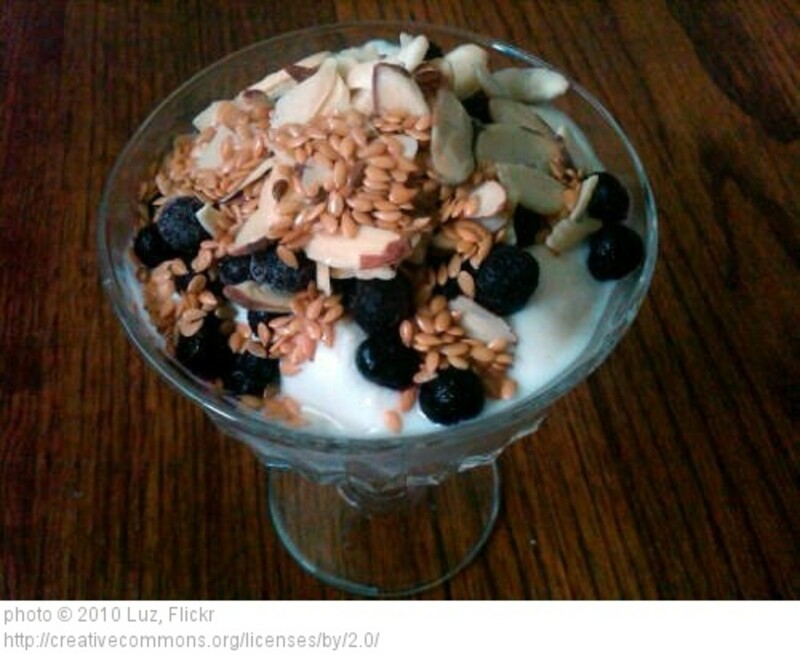 Through the comments of readers I have learned even more about using flaxseed. Thank you for leaving your comment and for voting this hub up! Very informative hub. I learned a lot about flaxseed. Thanks. Rated up and useful. So glad you found this helpful. While the motto "fresh is always best" pretty much stands true for foods, if the flax packaging is not out of date and has been refrigerated since opening it should be healthy. Thanks much for stopping by and leaving your comments. Great information. A few weeks ago I bought some packaged ground flax seed. It did say to refrigerate it once it was opened. Is packaged pre-ground healthy too? Well, it depends on your goals in taking it. However, there's no doubt that fresh ground flax seed offers more benefits. If you want to make a switch, use up your capsules when traveling or on busy days, and start slow with the fresh ground. Depending on your needs you might be glad you made the switch. Let us know how it goes. I take flaxseed oil soft gel capsules. Not as effective as the fresh-ground stuff, I guess? Great information. I use it whole in muffins but didn't know it was hard to digest. I'll try grinding them with my mortar and pestle next time. :) Thanks much for stopping by! I've clarified the second paragraph thanks to your comment. Thank you for your question! Bloating could be one of the reasons for starting small when adding flax seed to your diet. I don't seem to have that problem, but my friend does. Thanks very much for stopping by and for commenting! Thank you for a most useful hub. Are there any side effects one should be aware of? for example-bloating? Thanks. OK, I don't have time to read your hubs now but I will definitely be back. Too much good stuff here. Thanks for stopping by, lyjo, as well as for commenting. So glad you are already familiar with flax seed. I love Flax Seed....but I had no idea of the benefits...thanks for this great hub...take care! Very interesting and informative hub. Thanks for sharing your knowledge! Thanks very much for stopping in and commenting. I really is a good-for-you addition to our diets! Thanks for an interesting and informative hub. I love flax seed too. I grind it in a coffee grinder just before I use it and sprinkle it on cereal or add it to smoothies. I like the taste of flax seed and love its nutritional benefits. Thanks much for stopping by and commenting! Awesome hub! Thanks for the info. So glad you found it helpful...and that you stopped by! Thanks, too, for commenting. Also hope to read more about your diet as a cancer survivor. As a cancer survivor, I really appreciate this information about the nutritional benefits of flax seed. This is something I need to add to my diet. Thanks for the tips! Flax can indeed add a nutty flavor to fresh greens, whether it is in a smoothie or a salad. Thanks much for stopping in, and for commenting! I love flax in my green smoothies. It adds a nutty flavor and is very filling. Great hub! vocalcoach: So glad you found this helpful. Thanks for leaving a comment to help highlight the importance of using ground flaxseed. Grinding it each day is easy and the fresh nutty taste does add to other foods--salad, yoghurts, and oatmeal! I sprinkle flaxseed on my steel cut oatmeal which I have 6 days a week and enjoy it so very much. Thanks for the link you provided for Merriweathers comment as I will be visiting it soon. I, too, did not know flaxseed could go rancid. I refrigerate mine, but after reading your hub, will be purchasing fresh flaxssd and grinding my own. Love the hub! When something has so many health benefits and can easily either fit in a meal or become a major snack why is it so hard to stick with it??? :) I wax and wane with it too often! Thanks much for stopping in. I just read an article re the blood pressure lowering benefits of flax seed. Flax seed has a wide variety of benefits and many have found it helpful in meeting more than one need. I've never tried flax seed but after reading your article and the accompanying comments, I will buy some. Nice informative hub. Thanks for stopping in Lamme. I am thankful for your note about eczema as a I know of a little one with the problem. Can't wait to tell her mom so she can read up on it! I have gotten out of the habit of using ground flax seed, but I think I'll stop and get some tomorrow. An interesting benefit is it seems to really help with eczema. Thanks for this informative article. Never knew flax seed was a great thing for loosing weight. Just heard it was healthy for you:) I love to use flax seed oil. Informative Hub, I learned something new today:) Thank you! It's very good for you! Thanks for stopping by and leaving a comment. Thanks for a great Hub. I really like flax seed. I do mix it in my occasional smoothie--good and good for you! Bob Ewing: Thank you very much for stopping by. I have not tried smoothies yet, but may have to this summer! create a page: So glad you found it helpful. Thanks very much for stopping in! Meant to tell you that I like your great name for a writer! RTalloni, thanks for the information on flax seed. In fact, I think I will invest in a coffee grinder, and try it early next year. Thanks for sharing these great tips. I have used flax in smoothies, informative hub. Only a true coffee addict could go for using the same grinder! Thanks for stopping by. I enjoy your writing. I use flax seed in my bread and love it. But have never had it fresh. I will have to look into getting another coffee grinder (the coffee smell just won't wipe out of my old one) then I will give it a try. RT, how do you grind your seeds? In a food processor, mini electric chopper, coffee grinder? Peggy W, So glad you found it helpful. It is nutritious and ... next flax article coming soon. :) Thanks for the comment. You might like to see its paragraph on "How Should I Store Flaxseed And For How Long?" Thanks for stopping in to this hub! I have been reading articles about how nutritious it is and you have given me some great ideas of how to incorporate it into our diets. Thanks! Very informative. I had no idea that flax seed could become rancid. I use whole ground flax seed meal, which is apparently different from what you're describing here. I have a lot to learn!